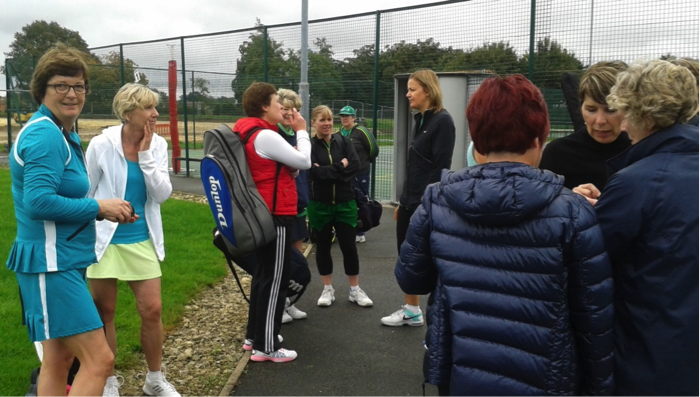 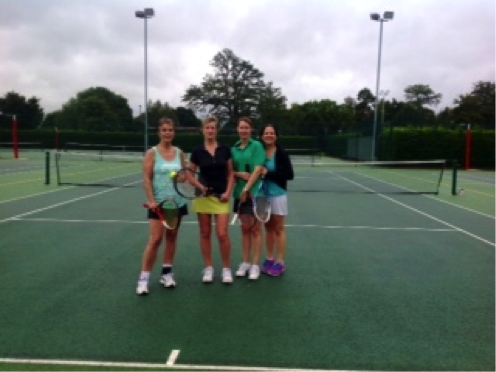 The inaugural IT Sports Too Ladies Doubles Tournament was held on Saturday 6th September at Fulford Tennis Club and the tennis courts at the University of York. 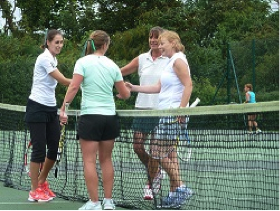 Bishopthorpe organised the event and initiated the introduction of the `IT Sports Too’ tournament for teams that play in divisions 3-6 of the ladies tennis league. 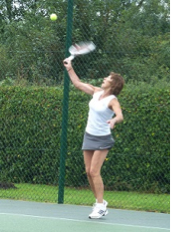 Nineteen teams participated in this competition and after some fiercely competitive matches, Chris Oldfield and Max Bailey (Wilberfoss), Maxine Gordon and Maddelena Moverley (David Lloyd 2), Denise Reilly and Kate Lewis (Rufforth) and Jane Harding and Jenny Davis (Cop) reached the semi finals. 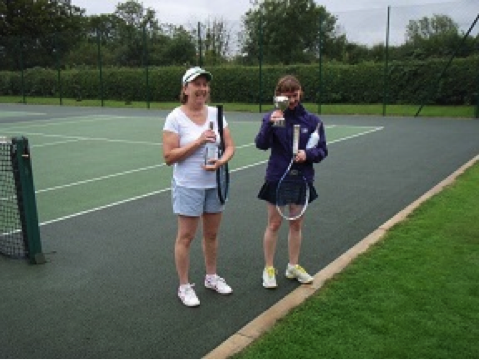 Division 3’s Rufforth couple beat Wilberfoss’s pair 4-1 in the final to lift the trophy for the first time. 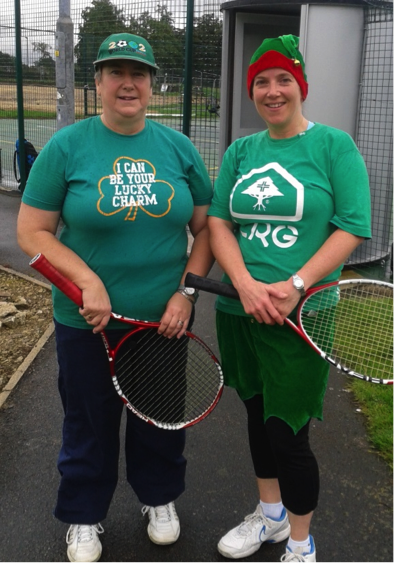 Tournament organisers, Bishopthorpe, would like to thank all couples that participated and everyone that contributed prizes for the raffle, which along with entry fees raised £450 to be donated to the Cancer Care Centre at York Hospital, who work with Macmillan nurses. 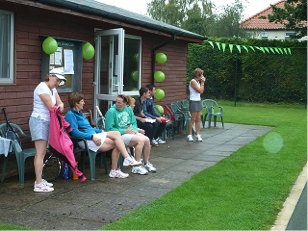 Payment and scoring headquarters at the University courts. 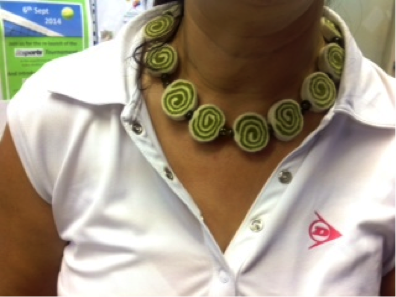 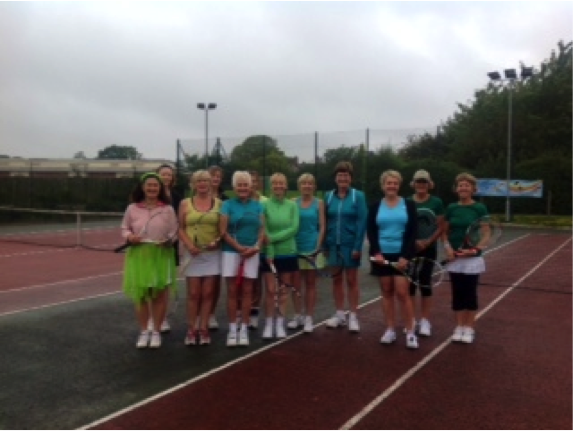 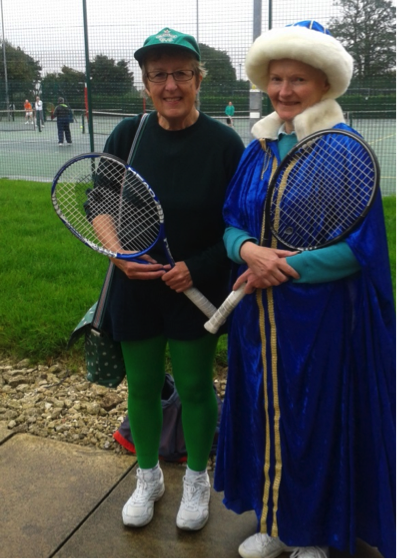 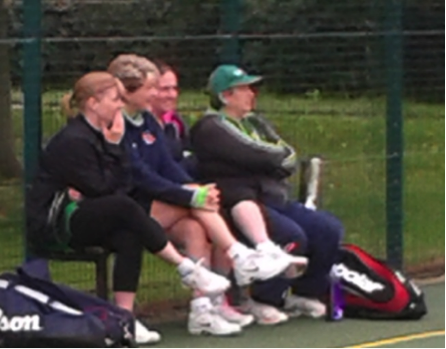 The participants at Fulford Tennis Club, sporting their ‘green’ outfits. 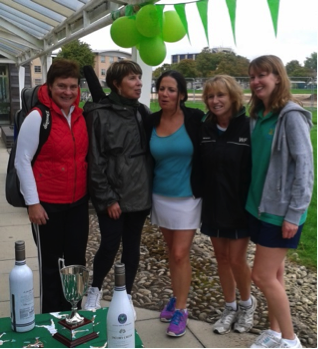 The IT Sports Tournament was held at Bishopthorpe Tennis Club on Saturday 6th September. 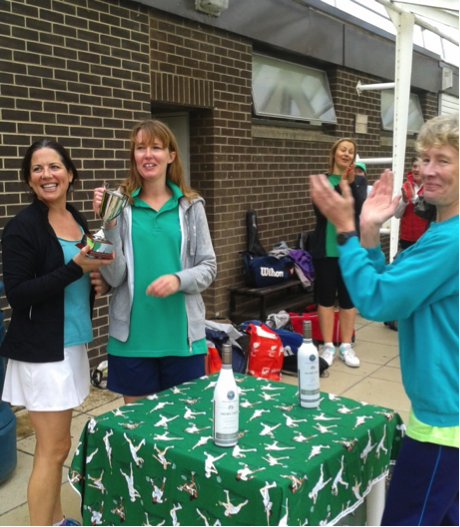 Players from divisions 1 and 2 competed for the original IT Sports Trophy. 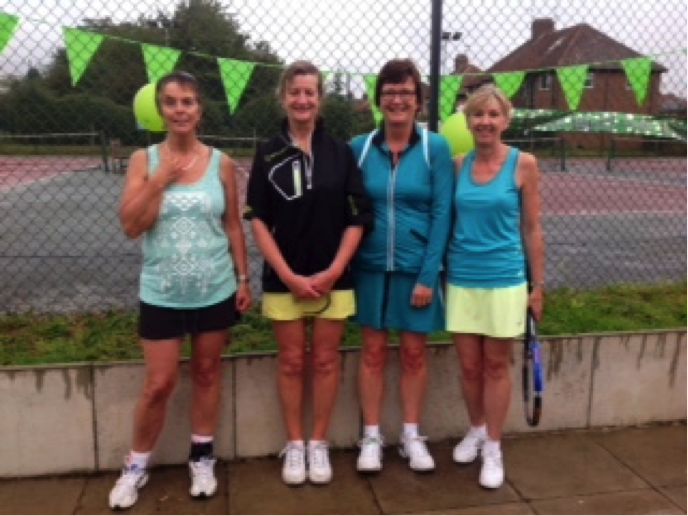 Nine couples took part with Sue Espiner and Denise Crane (Wig) just missing out on games difference to reach the final which was contested between host couple Fran Critchley and Jane Parkin and Jill McCreedy and Jill Rounce (Fulford). 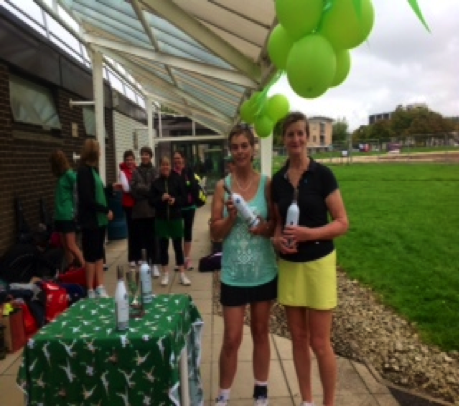 The latter retained their title in a comprehensive 6-0 victory in the final. 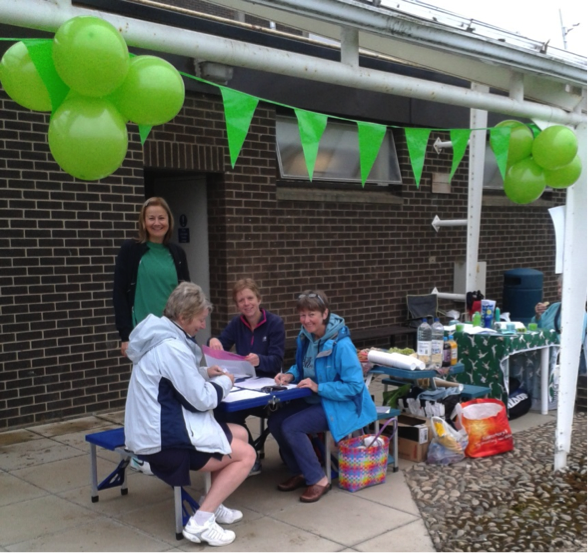 Tournament organisers, Bishopthorpe, would like to thank all couples that participated and everyone that contributed prizes for the raffle, which along with entry fees raised £450 to be donated to the Cancer Care Centre at York Hospital. 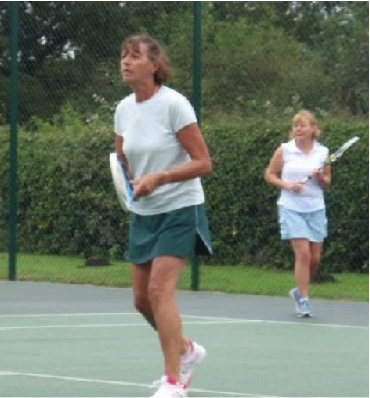 Jane Parkin and Fran Critchley in action. 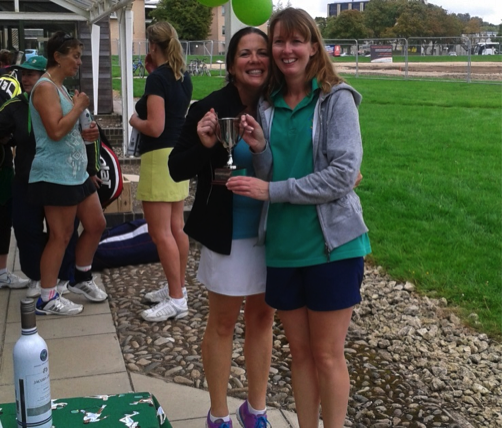 They made the final for the third time! 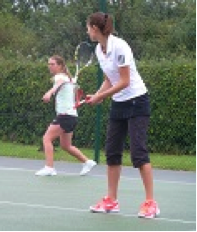 Unfortunately for them, they came up against the same opponents in the final and the result was the same!